Let's be honest - this is a weird time to be a Buffy the Vampire Slayer fan. On the one hand the groundbreaking supernatural drama, with its powerful feminist and LGBTQ themes, and its pitch-perfect balancing act of horror/action thrills and coming-of-age dramedy, has aged (mostly) beautifully, and stands the test of time as first-rate television. I might be so bold as to say that it holds up as one of the best TV shows of the 1990s and early-2000s. But on the other hand Buffy and Angel fans are still wrestling with the uncomfortable reality that, despite showrunning such an important feminist series and being its very public face, Joss Whedon has turned out to be a serial-cheating hypocrite who has not come close to living up to the show's philosophy (not to mention its quality - I don't think it is unfair to say that he has struggled to produce media as good as Buffy, Angel, and Firefly in recent years). Given the disenchantment that a lot of Buffyverse fans feel towards Whedon right now, and given the skepticism and fatigue towards reboots that most viewers feel these days, the concept of Whedon rebooting Buffy (which has surely been very tempting, given the media landscape we are in) seems perilous at best. Yet that is exactly what he doing, as he announced at San Diego Comic Con today, as broken by The Hollywood Reporter. Since Buffy the Vampire Slayer is my personal favorite TV show, I have mixed feelings about this, on several levels. On the one hand, the prospect of getting more Buffy is extremely exciting. Yet I can't help but feel like Whedon hasn't been earning my excitement (or my respect) for some time, and the cynical part of me thinks this feels a bit like an attempt to get his career back on track by trying to re-capture past glory. Yet there's also the fact that he won't be showrunning the reboot, which I would say feels like a definite plus at this point: he will executive produce, and have a certain amount of narrative input, but the showrunner will be Agents of S.H.I.E.L.D., Revolution, and Fringe producer/writer Monica Owusu-Breen. For Buffy to continue its legacy as a feminist series, having a woman as its showrunner certainly seems like the right decision, and Breen has impressive cred (ironically, she also was a writer/producer on Charmed, the competitor show which often exchanged snarky barbs with Buffy); at this point I feel much more confident with the show being in her hands, with Whedon stepping back to the exec-producer role, than if Whedon himself were returning to full showrunning duties. But my other mixed feelings about the series stem from us not yet knowing quite what kind of reboot this will be. Whedon said that the plan is to cast a new slayer, and they would like that slayer to be a woman of color - which again is totally awesome, especially since diversity was not one of the original show's strong suits. But The Hollywood Reporter actually went so far as to say that they are re-casting the role of Buffy; something that other outlets have not been so bold as to say, implying that THR may have jumped to a conclusion and she could be playing a different slayer. Whedon, on the other hand, was quoted as saying that the reboot will build on the original show's mythology. So which is it: a true reboot with the same characters played by different actors, or a sequel-reboot set in the same world as the original but following a new slayer, thus leaving potential for the original series' characters to return? Needless to say, which of those two options it is will greatly determine how most fans of the original series (myself included) will feel about it: I would LOVE to see a revived series set in the same world as the original, following a new, younger slayer. I would love to see how the world has changed since the events of the season seven finale, and I would love to follow a new slayer's journey in that world, with the possibilities wide open for her to meet Buffy, Willow, Xander, Giles, Dawn, and whoever survived the Angel finale. But if it's a total reboot in a completely different continuity, with the original show discarded? No thank you. We will surely learn in the near future which of those paths Whedon and Breen plan to take. Given that Whedon is involved, it would probably make more sense for it to be a sequel-ish "soft reboot" rather than a continuity-breaking "hard reboot," but who knows. It is also unknown where the show will air: 20th Century Fox will remain the producing studio, but the show is being shopped around to streaming services, presumably to avoid the network meddling which occasionally plagued the original series. 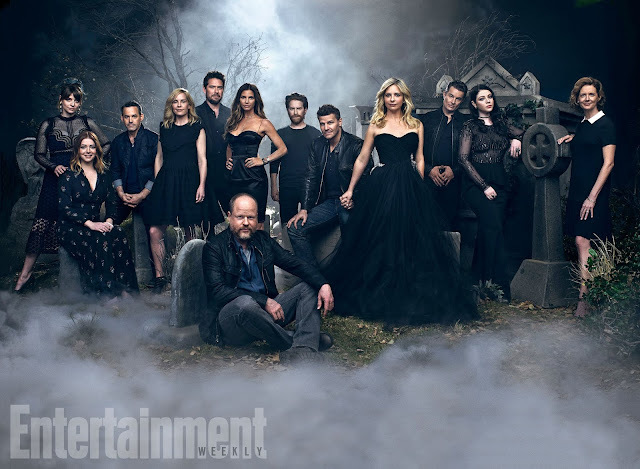 Only time will tell whether this will truly be Buffy returning once more with feeling, or if it will be more of a tabula rasa, but despite my remaining skepticism about Whedon as both a writer and person, I'm willing to at least grant that the idea seems to have potential. Don't banish this article to the Hellmouth - share it!